Salamis, Ambelakia bay. 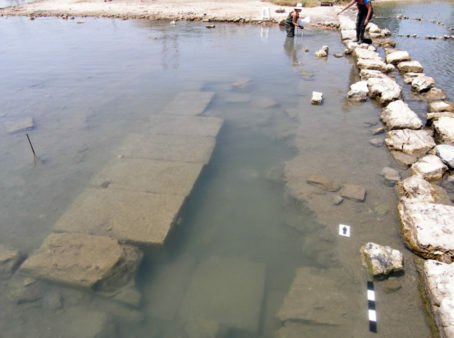 Submerged square tower on the west side of the Cove: part of the fortification system of the port of Salamis of the Classical and Hellenistic period. Photo: G. Lolos. 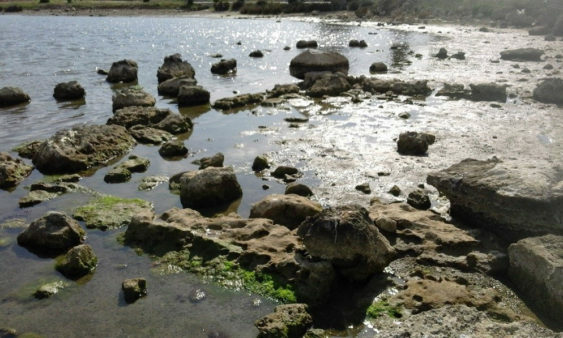 The Ministry of Culture and Sports announced the completion of the second phase of interdisciplinary underwater research on the east coast of Salamis. Research has evolved, at an intensive pace, in a marine area of major historical importance: a) The Ambelakia bay, a port of the Classical city of Salamis controlled by the Athenian state and primary meeting point of the united Greek fleet on the eve of the naval battle of 480 BC and (b) the area north and off the Kynosoura peninsula, on which the most important monuments of the Greek victory are located. 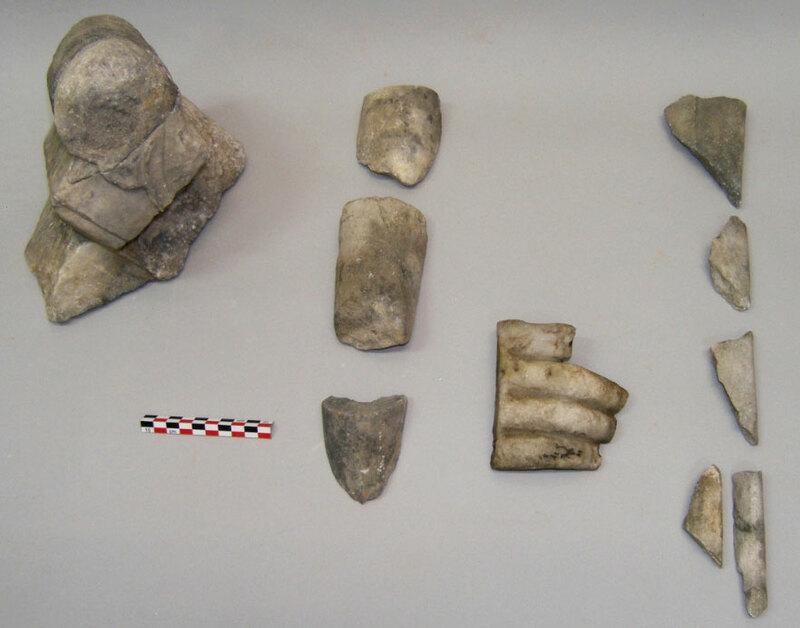 The research is being carried out as part of a joint three-year programme (2016-2018) of the Ephorate of Underwater Antiquities of the Ministry of Culture and Sports and the Institute of Marine Archeology directed by Dr. Angeliki Simosi, Head of the Ephorate, and Yiannos G. Lolos, Professor of the University of Ioannina and the Institute’s President. Also participating is the Laboratory of Marine Geology and Physical Oceanography at the University of Patras under Professor George Papatheodorou, with Associate Professor Maria Geraga as its main collaborator. 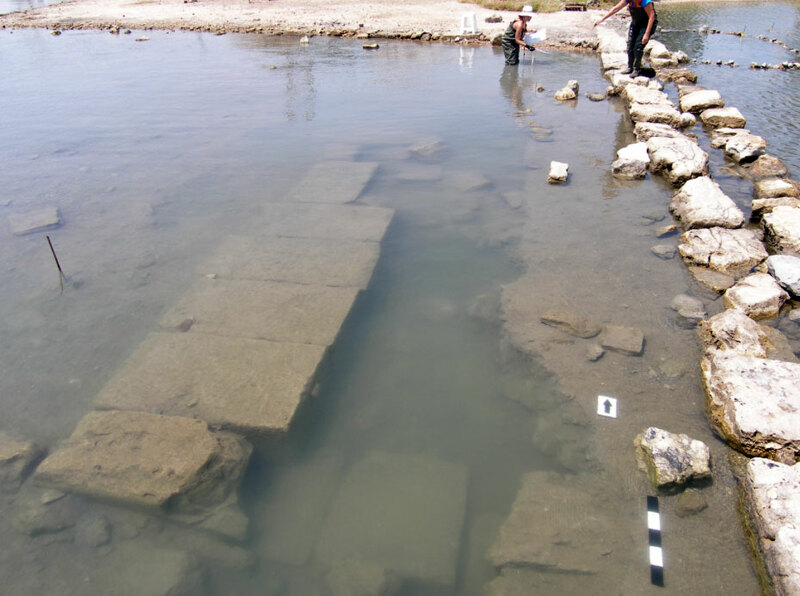 As part of the underwater archaeological research, the exploration of submerged architectural remains continued on the west and particularly the north side of the bay’s inner section, which was the commercial and military port of Salamis during Classical, Hellenistic and Roman times. On the west side, the existence of a strong square tower was documented, made of massive stones (with 7.70 m flanks), which was obviously linked to the wider fortification system of the Classical-Hellenistic city and its harbour. In 2016, a significant part of this system had been located to the northwest of the bay; i.e. a wall (“arm”), 162 meters long, with a circular defense tower on its end. This year, the north side of the bay was explored, in an area where a later, 48 meter long pier stands out, built, before 1900, with ancient construction material from one or more buildings. Just a short distance from the pier to the west, a large, sturdy, 13 meter long construction, carefully made of stone plinths, now submerged, has been revealed. It is most probably the base (with strong foundations located on its southern flank) of some public building. Included among the most important finds, from the layer that is destroyed, mainly from the last phase of the building’s operation in the 3rd century AD, are the following: Τhe drum of an unfluted column and marble fragments of a small alter, stele, statues and utensils, as well as parts of Late Roman oil lamps from well-known Athenian workshops and other vases. Based on the findings so far, it is estimated that the building brought to light must be one of the last ancient public buildings in the port of the city of Salamis, perhaps one of those seen by Pausanias and reported in his Description of Greece (1.35.3, 1.36. 1), during the late 2nd c. AD. Systematic marine geophysical surveys were carried out in the Ambelakia bay as well as north and east of Kynosoura. The purpose of the research was twofold: on the one hand, to locate the coastline of the Classical era and reconstruct the area’s coastal paleogeography and on the other, to locate targets of possible archaeological significance “resting” on the surface of the seabed or buried beneath it. 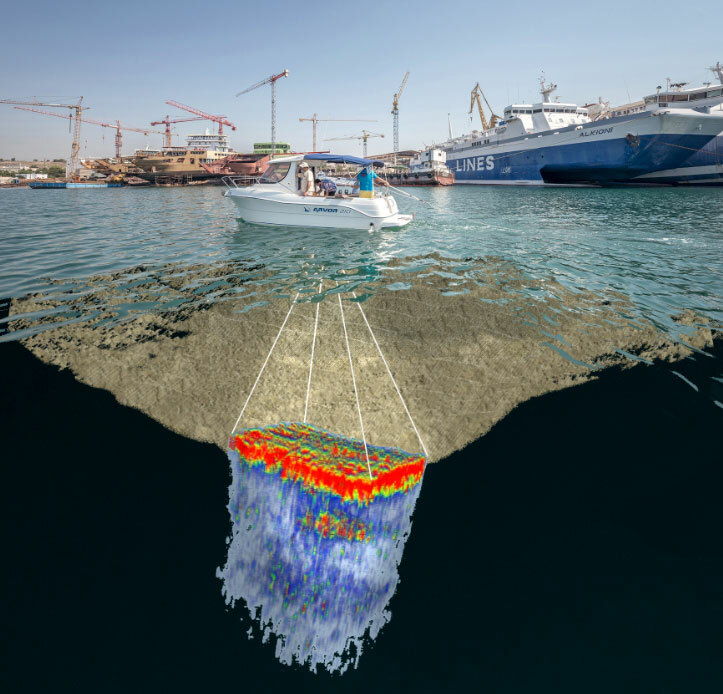 The marine geophysical surveys, the first systematic ones of their kind in the Kynosoura region, yielded a very large amount of the highest quality digital data, whose processing is expected to shed light on the paleogeographic evolution of the region and locate targets of archaeological interest. A very large number of targets have been found buried under the loose sand dunes on the seabed of the Ambelakia bay. A subset of these targets (a few dozen) was located at some depth under the seabed, which probably corresponds to the layer of the Classical Period and the Naval Battle of Salamis itself. Assessing the size, shape and material of these buried targets makes them very significant and candidates for control over the next research period.